Dean Devlin understands how entertainment works. He’s been working in the industry for over thirty years; starting as an actor and production assistant before moving on to becoming a writer, producer and director. After a successful career as a film producer (including megahits Independence Day, Stargate and The Patriot in his filmography), Dean moved over to television and has worked hard to bring a fun and exciting sensibility to everything he does. In addition to producing the Librarian series of telefilms, Devlin currently is the producer of the hit series Leverage, that airs on TNT. I was fortunate enough to chat with Dean just as the fourth season was premiering a few weeks ago. After a career producing some giant tentpole movies, what drew you to working in television on The Librarian, Triangle and, ultimately, Leverage? Well, I thought it was an interesting challenge to see if I could work independently in television. And, it’s just been a fantastic experience. How did you get involved in Leverage and, as a producer, what did you bring, or what do you bring to the series that ultimately makes it a Dean Devlin production? So now I had to go figure out what the show was, so I called my favorite writer, John Rogers, and, as fate would have it, just that morning, he and Chris Downey had been talking about trying to revive the heist show, and trying to do a modern-day version of Rockford Files. And so, we pitched it back to TNT. They said, “Great. Go write the script.” And the series was born. I liked the script so much I actually insisted that I get to direct the pilot, and we’ve just been having a fantastic collaboration ever since. You directed the pilot and you’ve always directed each season premiere. What challenges do you have in terms of setting the tone or establishing each season with your directing? Well, the tricky part is that we have very, very high ambitions and very little money and time to pull off those ambitions. So, in the season openers and the season finales, I try to set a case, so that the whole rest of the year can live up to it. So I try to set the bar in the beginning of the year to say, “You can do it, and it can be fun, and we can do it without going into overtime, without making everybody’s life miserable.” And then it just sets the speed of the show, and everybody gets used to the pace that we shoot, so that by the time the second episode comes, it doesn’t seem so outrageous. 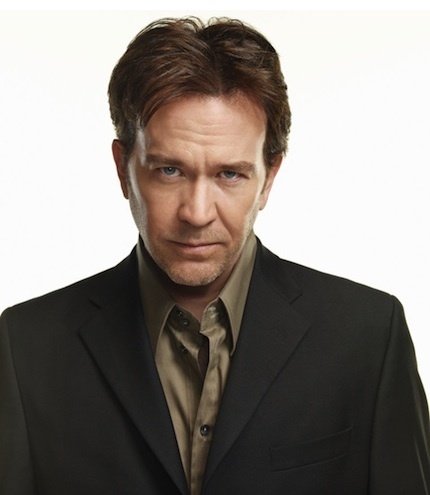 I’m really a big fan of Timothy Hutton’s work. How did he wind up on the series? I think one of the things that he brings, and also something the series itself, is its success in mixing humor with the drama. Is that balance difficult to maintain? It is, because you want this to be fun, you want it to be funny, but at the same time you want it to still be thrilling, you want it to be emotional. And you have to be careful, because if it gets too silly, it tends not to be emotional. If it’s not emotional enough, the comedy tends to have no anchor to it. So, we really spend a lot of energy trying to navigate the tone. The saying we always have on the set is, “We’re not a grounded show, but we’re not three feet off the ground. We’re about three-and-half inches off the ground.” And if we can find that sweet spot, the show tends to work really well. Well, the writing staff does a lot of research. They spend a lot of time researching every single story and everything that we’re doing. And then, on top of that, we have Apollo Robbins and his crew of former thieves, who advise us on how they pull off things, and they actually come down and they show the actors how to do lifts and, basically, how to break into everything. It’s always a terrifying visit when they come to set because, by the time they leave, you just don’t trust anything anymore. 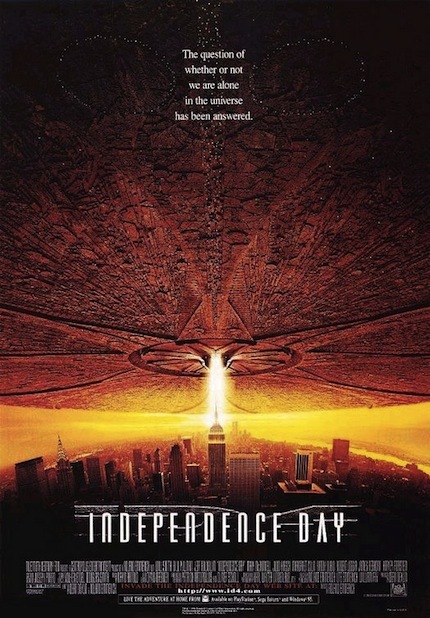 The inevitable question I always have to ask is: are we going to see a sequel to Independence Day? I hope so. We haven’t been able to work it out yet, but I think there’s a lot of people who would like to do it. Ro (director Roland Emerich) and I certainly want to do it. It’s just time to get all the planets to align, and there’s a lot of people working on making that happen. So, I’m hopeful. Right now, I’m geeking out over Doctor Who. I can’t get enough of Doctor Who. I think it just gets better all the time. I think it’s the smartest show on television, and I find myself embarrassed when I’m watching it on my iPod and I’m sobbing, watching Doctor Who. But yeah, I’m completely geeking out over Doctor Who.